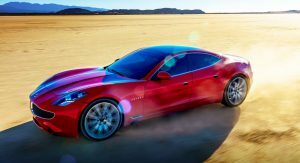 Karma Automotive, the automaker forged out of the bankrupt company founded by designer Henrik Fisker, has just formed a partnership with famed Italian design house Pininfarina. The two companies announced this new partnership during the recent Automotive News World Congress and say that the first results of the partnership are expected to be shown in the second quarter of the year. 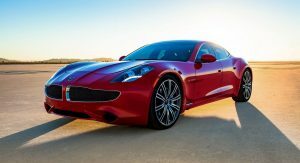 Karma Automotive and Pininfarina haven’t gone into detaile, but a joint statement says that the partnership “will unite each partner’s commitment to beautiful luxury automotive design and is a major addition to karma’s growing list of strategic business partners”. 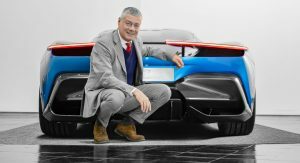 Karma does go on to write that Pininfarina will help it with product development and the personalization and customization of its vehicles. It remains unclear if Pininfarina will be given the reigns to entirely develop future Karma models, however. Karma’s currently Value-Forward business plan calls for it to develop key technologies and forge partnerships in the areas of connectivity, performance, artificial intelligence, shared mobility platforms and electrification. 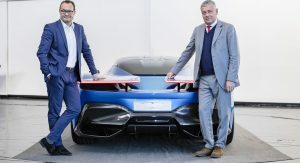 “The agreement with Karma represents another important step in the growth strategy of Pininfarina in the North American market, following the opening of our new design center in Los Angeles,” Pininfarina chief executive Silvio Pietro Angori said. “We are happy to support Karma through our expertise into design and creation of luxury, customized vehicles, and into premium brand lifestyle. With Karma we share the same passion for beauty, exclusivity and innovation, always in the name of environmental sustainability. We can’t wait to show the world the first fruit of our joint effort”. I love the design of this, inside out. I wish it’s more affordable. Heck I also wish Tesla looks half that good. It still looks beautiful even today (although I preferred the original “Fisker karma” design-wise opposed to the Karma Revero shown here (you’ve have to really look closely to notice the changes and details, but they make a difference, at least to me)). 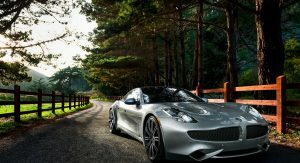 Considering this vehicle (the original Fisker Karma this is based on) was designed in 2006-2007 and then revealed at the NAIAS 2008, (finally reaching production in 2010 and going on sale in 2011),.. and it still looks good today after WELL over a DECADE… well, that’s just really something and is a feat unto itself. 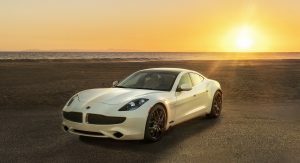 Fisker Automotive (& (now) Karma Automotive) are really more so 2 different companies now-a-days (opposed to really being a ‘re-born’ version of the original company that once was) as Karma doesn’t really share the same vision, plans, or goals, originally held by Fisker Automotive at all. 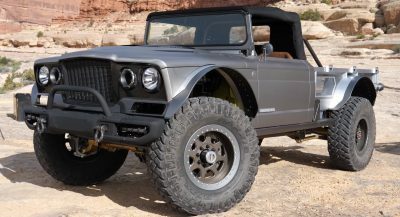 They are more so a new company utilizing what assets they picked/bought up from Fisker after bankruptcy. The originally company really does not receive enough credit (Imo) for starting the ‘transition’ to EVs (&) Plug-In Vehicles’ with the “EV-ER” Electric Vehicle (with) Extended Range, and the introduction of the technology that brought in the idea of the PLUG-IN HYBRID powertrain to the mainstream world during 2006-2008. (I could go into a lot more, on this but for now I will leave it at this…) It is sad almost to know the original company went bankrupt because the company that made their batteries went out of business, in addition to seeing some of the values, ideals, and concepts that were lost with the introduction of Karma Automotive,… BUT this partnership with Pininfarina is a step in the right direction. #1: Elon Musk originally asked Henrik to help him design the vehicle now known today as the Tesla Model S.
#2: Fisker Automotive was only weeks away from releasing their 2nd-vehicle, a “$35k model” called the Fisker Atlantic BACK IN 2013. #3: If you actually want a Fisker, you can buy a used one for around $35k – $80k (which has pretty much the same specs at the new model). (The prices are low because a lot of re-sellers don’t actually know the new company actually will service old Karma vehicles, or that the new company even exists). 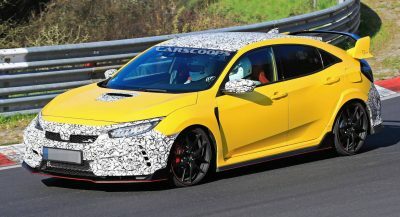 #4: This vehicle in 2008 was highly anticipated by the automotive world as it was a new car company founded by one of the most (at the time) famous designers in the automotive industry. The same man behind the BMW Z8, Aston Martin DB9, and much more. 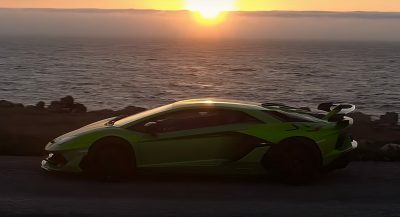 The industry viewed this as sort of Henriks’ (James Cameron’s tech-guy, Steven Spielberg’s Futuristic, -like phase), when the vehicle was shown off in 2008 Henrik most certainly delivered. What a great addition man, I tap my hat for you sir. Seriously thanks for the brilliant informative context and please don’t ever say again something like … I could go into a lot more on this but for now I will leave it at this.. and I just googled that 2013 Fisker Atlantic, wow, that could have been something! You left out the part where the scumbag Henrik tried stealing design information and tech for his own car company and betrayed Elon and Tesla. And then he failed and hasn’t come back since. It was ruled in the court room that none of that was actually true. Henrik was the one who helped to create some of the said the design information. 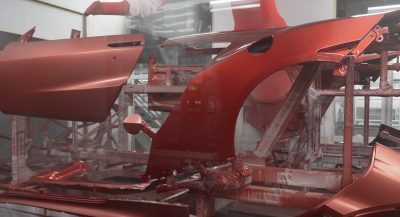 Also Henriks’ vehicle was already being designed (looks, and powertrain) 2 to 3 years before Tesla began working on the 2009/2010 “Model S Concept”. 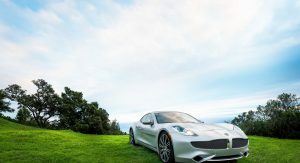 SEEMS ODD THAT FISKER, A CAR DESIGNER GOES TO A COMPANY WHO’S FOUNDATION IS BASED IN DESIGN FOR HELP. A very Interesting partnership, I would think amazing new designs are at hand. MAYBE I SHOULD HAVE SAID IRONIC RATHER THAN ODD. You’re implying that Fisker is still with the company. He’s no longer involved. I suppose Karma could’ve kept design in-house, but I believe the reason for the cooperation, is the technology sharing. 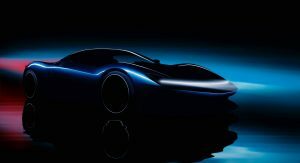 Pininfarina -which had also gone bankrupt- has been reborn as purely EV based company. This could also signal wider cooperation/technology sharing between parent companies Wanxiang (Karma) and Mahindra Group (Pininfarina). China is ahead of the curve in vehicle electrification, while India is trailing. Next PostNext Groups Protest GM, Ford At Detroit Show With Prayers And… Inflatable T-Rex?